A recent massive rebranding of the Welcome Center at Hewlett Packard’s Worldwide Headquarters in Palo Alto, California involved six different large format graphic projects, including thirty-eight-foot- and fifty-foot-long wall murals, oversized window graphics, and multi-dimensional wall treatments. Long corridors and glassed-in meeting rooms were transformed into award-winning “habitats” (home, office, office-of-the-future, etc.) Images featured in these colorful graphics makeovers included area scenery (the San Francisco skyline at dusk, redwood trees, etc. 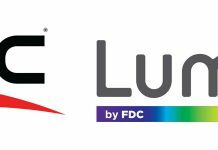 ); abstract designs (pixels and shapes); and HP branding. 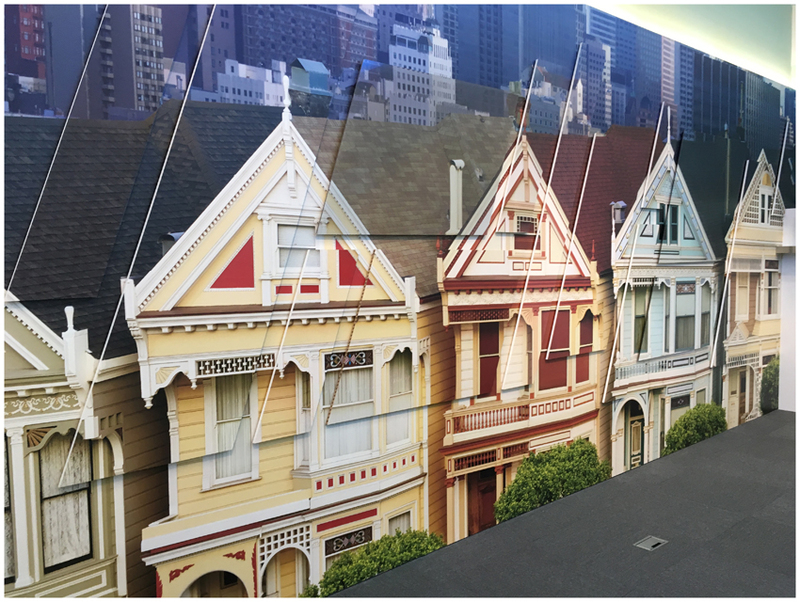 The company responsible for the output and installation of these interior environment-transforming prints was SpeedPro Imaging – Marin, an independently owned franchise that has been serving the San Francisco Bay Area for seven years now. Owner Steve Moran-Cassese has been blanketing walls with large format graphics for clients such as Facebook, NBC Sports Bay Area, and San Francisco restaurants and hospitals. Images in these colorful graphics included area scenery. Their production area features a 104-inch HP latex printer, an HP flatbed printer, a Roland eco-solvent printer, and an Esko CNC contour cutter, etc. “We also print white ink every day, which is a premium commodity that’s now common on flatbeds,” says Moran-Cassese. An ad agency out of Berlin that had worked with HP for fifteen years now was looking for a printer to partner with on the interior décor project at the Welcome Center. They chose SpeedPro Imaging – Marin for a variety of reasons. Another reason Moran-Cassese and his shop were awarded this project was because they are experts on the media types that are available and what can be done with them. This is a business that prints on materials that can mimic any finish such as silk, suede, metal, and wood, as well as do gradations of white ink on clear if a client wants to see shadows. 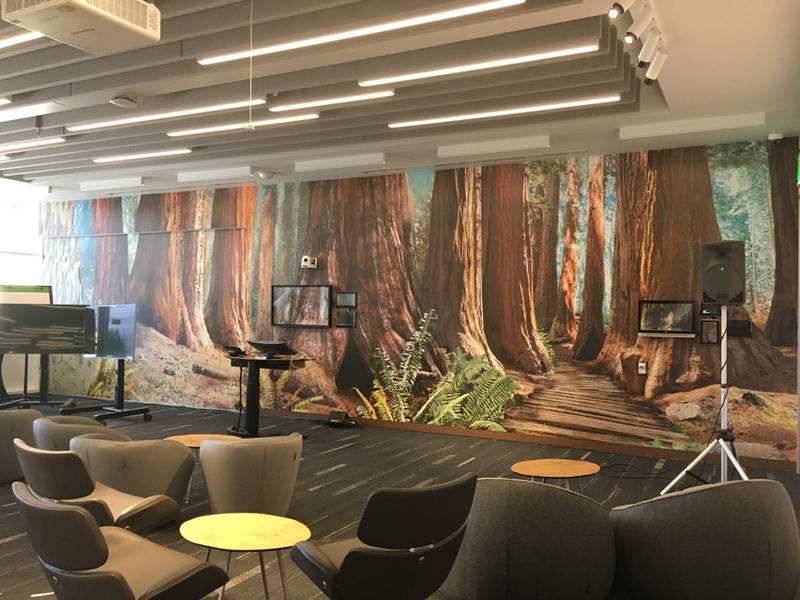 “We knew which texture to use for the true images of redwoods featured on the lobby wall to make them look and feel like wood,” he says. They were also able to answer questions such as what type of vinyl to use on large meeting room windows with HP and the Berlin ad agency via Skype. 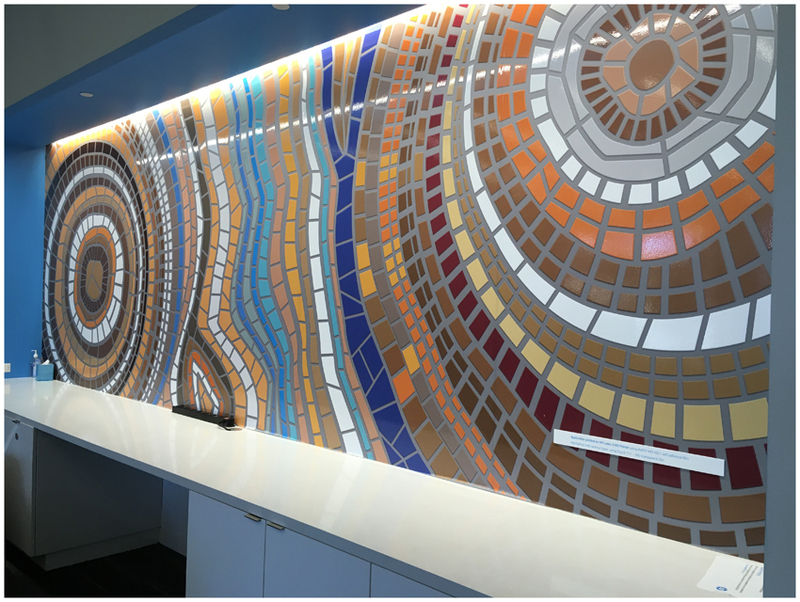 Abstract designs were used for some of these experiential murals. The entire project took a couple of months starting with pre-planning. Of course, there was also the wait for approvals between the client and the agency, and then the agency had to develop and finish the artwork to send to SpeedPro Imaging. 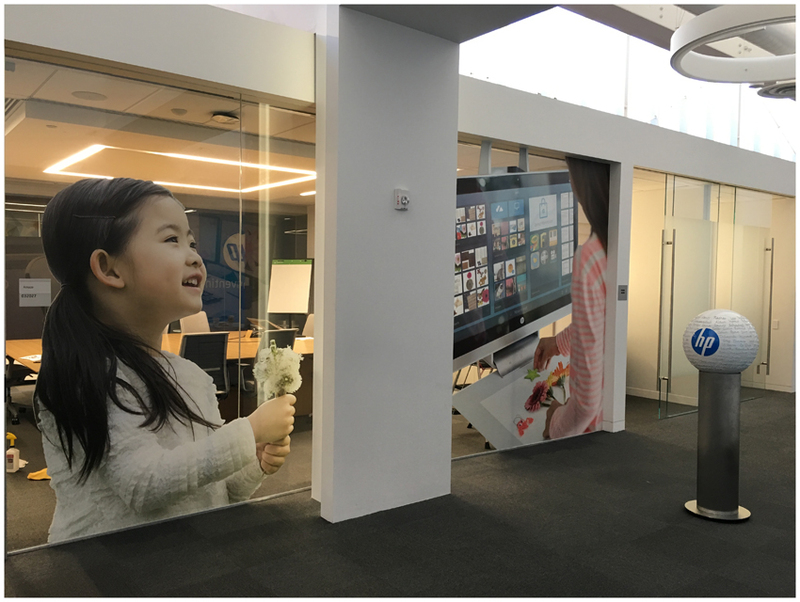 The ultimate goal for HP was to showcase their products and capabilities in large format while also creating a visual experience for their clients. The images will be periodically rotated out with new scenery and branding prints to keep things fresh. Reinforcing the HP brand was important. Moran-Cassese has noticed that wall coverings are extremely popular these days. 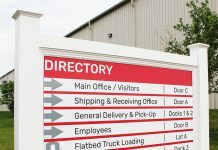 In fact, he cites HP internal research finding that environmental graphics that transform surroundings and help connect people to a place is the fastest-growing sector in all of wide format. “Now not only can you pick the image that you want, but you can pick the surface look that you want it to appear on,” says Moran-Cassese. “You can pick a huge glass atrium—it doesn’t matter how big or how wide—and run optically clear polyester vinyl panels with very ornate prints using white ink,” he says. It’s important for shops though to understand that this is a premium product. “We’ve done the research, and you can basically yield a higher dollar square foot amount for this type of work because it’s considered typically high end,” says Moran-Cassese. “The clients even are going to be typically higher end. In turn, Moran-Cassese’s SpeedPro Imaging – Marin is building up their reputation in environmental graphics step-by-step. They send out portfolio books to potential clients about the work that is possible with these graphics and educate them about their capabilities. LinkedIn and other social media avenues are also employed to build their reputation in this field. “But a lot of it is just picking up the phone and trying to reach those architectural firms and interior designers and share the vast opportunities that environmental graphics can provide,” says Moran-Cassese.